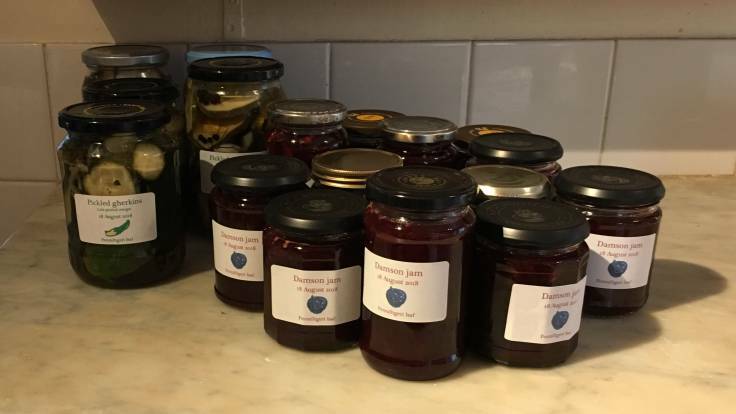 The first jam of the season from the #ForestGarden, a rather sour but still tasty damson jam, and quite a lot of pickled cucumber. Last year’s cucumbers were a disaster, very bitter. This year, trying to keep on top of the sheer amount of cucumber.